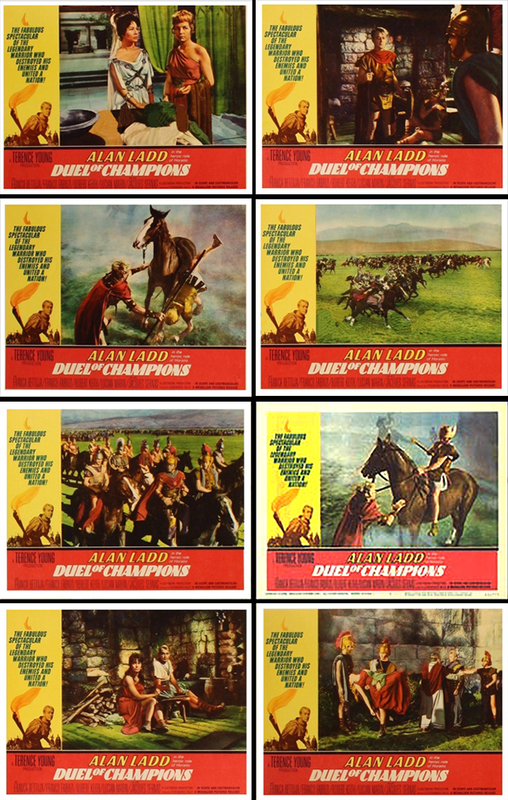 U.S. lobby cards set of DUEL OF CHAMPIONS. Not bad but no close-up of Alan Ladd? Was that intentional? To hide his age? It is a bit repetitive with cards 3 and 6 plus cards 4 and 5 being identical to each other. They could have shown two additional new scenes, boosting the cards worth. Not bad but average.